Ferric Chloride Etchant, 16 oz. 16 liquid oz. 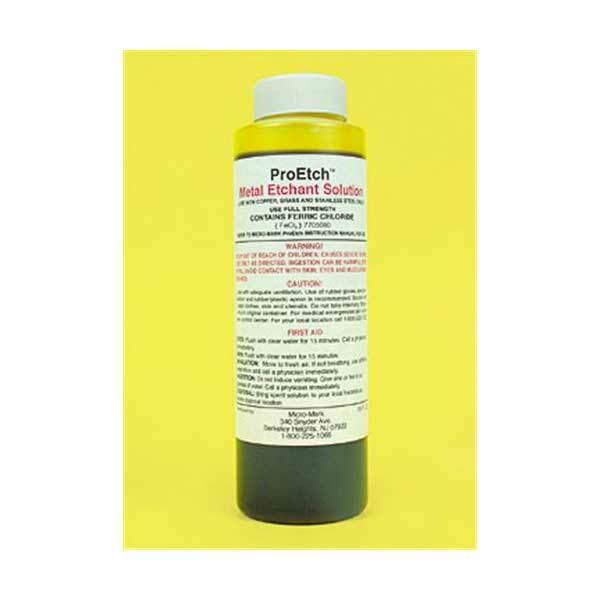 Ferric Chloride Etchant for use with #83123 Pro-Etch System. Note: This chemical is highly caustic. Careful handling and good ventilation are essential. Not for use with aluminum. Sodium Hydroxide Developer / Stripper, 16 oz.